Tavua Coach Nazeel Ali says he is glad that the Tavua players stuck to the plan that was made to counter Rewa ahead of the match. The Tavua side today caused another upset after they defeated Rewa 2-0 in a Vodafone Premier League match. The Tavua Coach says the players played their hearts out despite the fact that they do not get paid and the team has no sponsors, the players did this for their district pride. Tavua’s goals were scored by Sumit Goundar and Hussein Khan in the first and the second half of the match respectively. 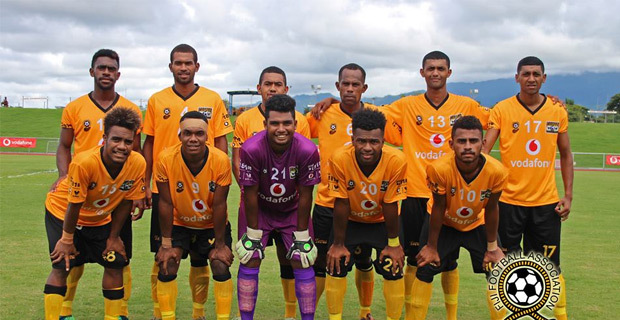 The Gold Town Tavua side are now second in the VPL Points table with 6 points and are just a point behind Ba who have topped the table with 7 points. Labasa is now in 3rd place with 4 points.